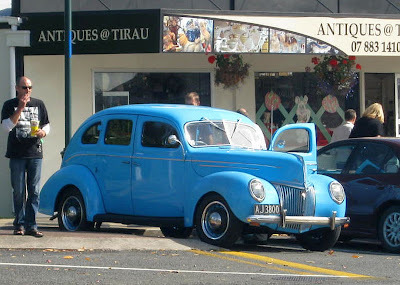 Could this be called a Classic Car? I don't know, but from where I stood across the road and down a bit it looked great! It's probably as old as me and probably in as good a condition :-) . 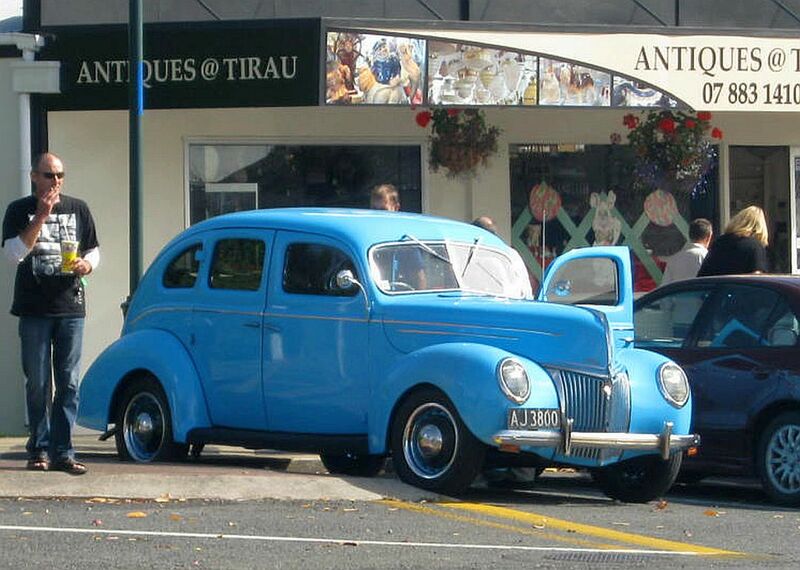 It was spotted at Tirau during our visit there today. I love those kinds of cars also, I think they are from the 1950's, I just put a picture of one that sits in town, and I pass by it all the time, and finally took a picture of it, take a look at it sometimes Dave.